Although Hardik Pandya has been picked to play all 3 formats for India, his consistency with both bat and ball has left some unimpressed. 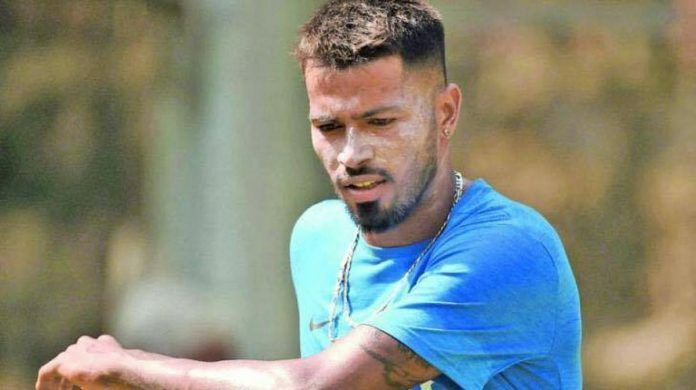 New Delhi: Hardik Pandya’s recent comments on Koffee With Karan have caused much social media outrage, drawn a showcause notice from the BCCI, and might even get him a two-ODI suspension. In the midst of all this, the flamboyant all-rounder has posted an apology for his sexist comments on Twitter. Hardik’s comments, describing his approach towards women in night-clubs and parties, are what have raised people’s hackles. But Hardik had claimed in a 2017 interview with The Indian Express that he isn’t really the partying kind. So, just who is the cricketer behind the “personality”, and the controversy? Hardik found a place in the spotlight nearly four years ago, after some splendid performances for the Mumbai Indians in the 2015 Indian Premier League. But it all started on 11 October 1993, when he was born into a business family in Surat. Both Hardik and older brother Krunal, who is also an India player, are products of the Kiran More Academy in Vadodara. More, the former India wicket-keeper who played 49 Tests and also served as chairman of selectors, has overseen the brothers’ progress from when they first started playing, and is still associated with them as part of the Mumbai Indians coaching set-up. Samarjitsinh Gaekwad, head of the erstwhile royal family of Vadodara, who also served as president of the Baroda Cricket Association, recalls the first time a young Hardik caught his eye. In an under-15 game, “Hardik scored a match-winning 230 against a strong Mumbai attack, and showed immense promise”, Gaekwad told ThePrint. Gaekwad also recalls the turning point in Hardik’s cricketing career, when former Karnataka player Sanath Kumar joined the Baroda team as a coach. “Sanath encouraged Hardik to take to fast bowling, and was instrumental in his emergence as a multidimensional cricketer,” he said. Hardik’s big break came when he blitzed a 57-ball 82 at the Wankhede Stadium in Mumbai in the Syed Mushtaq Ali Trophy, and caught the eye of Mumbai Indians. For the Reliance-owned franchise, Hardik has become a talisman ever since he smashed a 45-ball 61 against Kolkata Knight Riders, earning his first IPL man of the match award. He was fast-tracked into the national side in a T20 International against Australia in January 2016, followed by an ODI debut in October 2016, and a Test debut in July 2017 on India’s tour of Sri Lanka. He hit a 50 on Test debut, followed it up with a century in his third Test at Pallekele, and 93 against South Africa at Cape Town in his fourth. But so far, Hardik’s international record is a mixed bag. In 11 Tests, he has scored 532 runs at 31.29, and taken 17 wickets at 31.05. In 42 ODIs, he has scored 670 runs at 29.13, and taken 40 wickets, with an economy rate of 5.55. Meanwhile, in 35 T20Is, he has scored 271 runs at a strike rate of 153.10, and taken 33 wickets. The obvious highlight of his career was the five-wicket haul he picked up against England at Trent Bridge, Nottingham, which helped India pick up their own win of a closely-fought series. Hardik’s transformation as a cricketer has earned him accolades from the likes of Indian batting legend and current India ‘A’ coach Rahul Dravid. However, just before the Trent Bridge Test, legendary West Indies fast bowler Michael Holding had rubbished the comparisons being made between Hardik and India’s all-round great Kapil Dev, saying “he is nowhere near there yet”. Hardik has been linked to Bollywood actresses Elli Avram and Esha Gupta. Omg stop.. I said m not getting married in context to the question- are you getting married. I said No. media has always supported me,but I don’t want my personal life to become a joke and the other person should be respected. ? ?